These rigs are specifically designed for anglers targeting flatfish species around the UK. 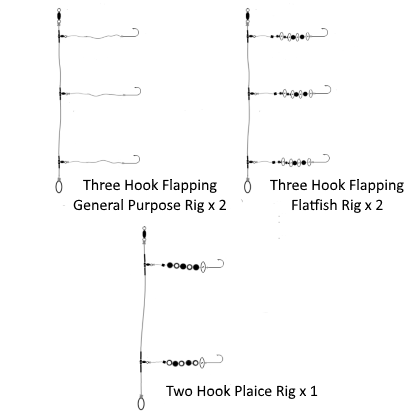 Two specialist three hook flapping rigs are included. These have small size 1 Cronus flatfish hooks and each hook snood has 5mm beads, 8mm beads and a range of sequins fitted to attract flatfish species. This selection also includes a pair of three hook flapping general purpose rigs fitted with size 1/0 Cronus black Aberdeens which are small enough to catch flatfish but can also handle any larger species which may take the baits. 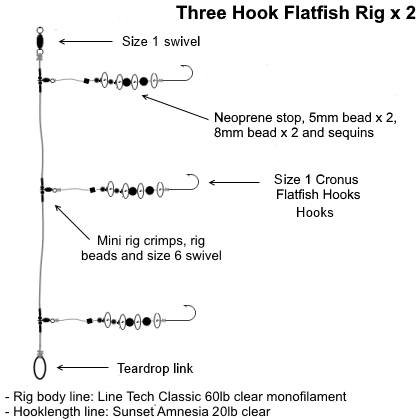 Finally a single two hook plaice rig is included with size 1 Cronus flatfish hooks. This rig is fitted with alternating black and green 8mm beads on the hook snoods. This is a combination of colours resemble food sources such as mussels and attract plaice. 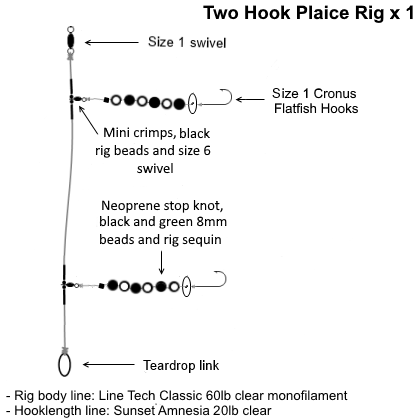 These rigs are ideal for any anglers who target flatfish species. 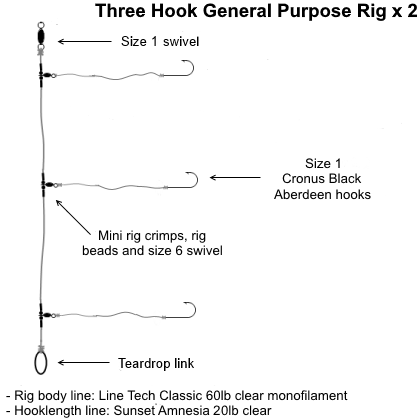 Anglers fishing from sandy beaches, estuaries and piers and breakwaters where flatfish are present will find these rigs effective.